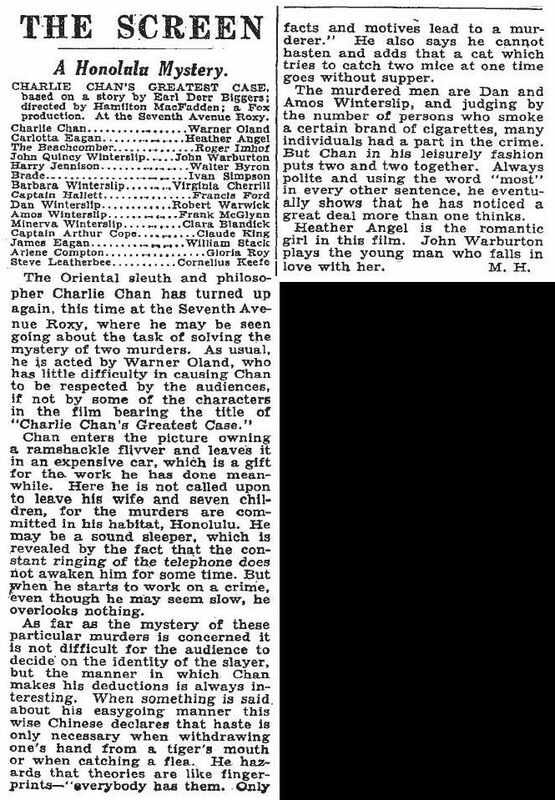 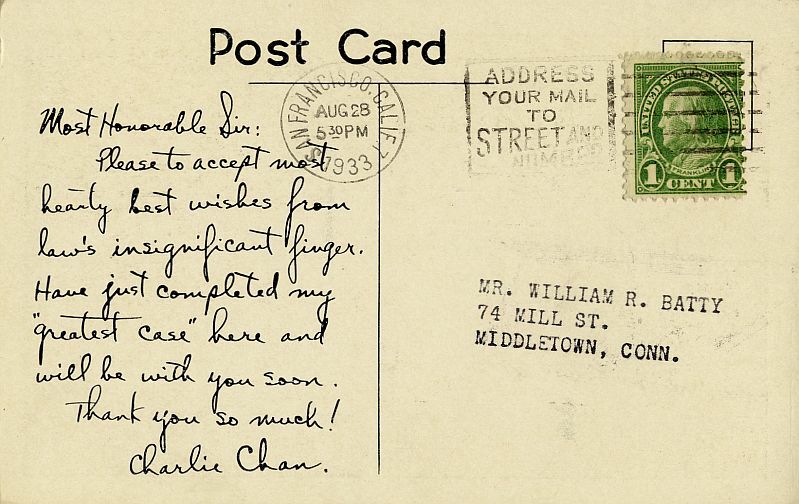 This post card, postmarked August 28, 1933 and mailed from San Francisco, California, was sent to a movie fan to advertise the then-newest Charlie Chan movie, Charlie Chan's Greatest Case. 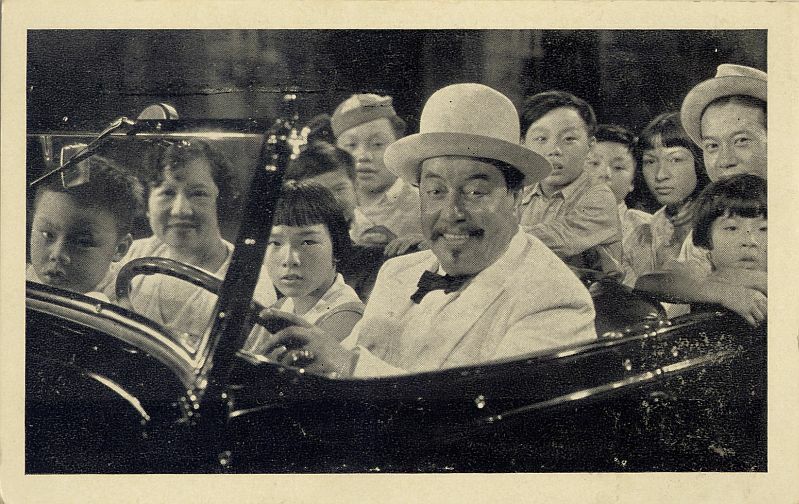 The front of the card shows the detective and his entire family in their new 1933 Ford touring car, a gift from a very grateful Minerva Winterslip to Mr. Chan who had revealed the murderer of her brother, Dan. 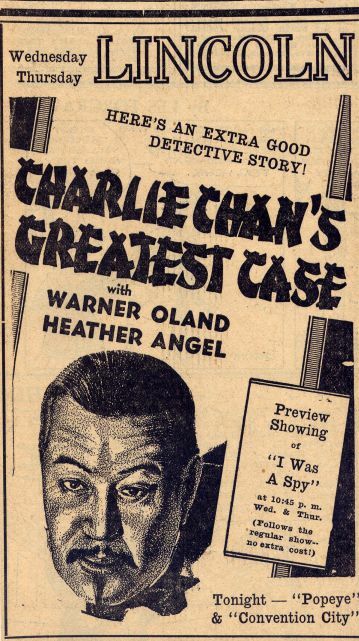 The reverse side has a "personalized" message from the detective.